We had a lot of sales this past month ! 10 (3 of which were distressed properties). 2 of these were short sales that finally closed after 3 months and 6 months. Suprisingly we only had 1 TH sell. 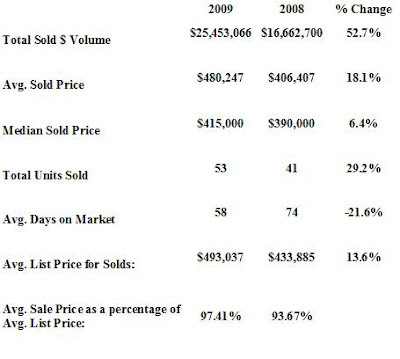 Most of the Condos in penderbrook are selling right now. Interesting Penderbrook Fact: 10 of the current 19 homes for sale in Penderbrook are bank owned or short selling. AND 13 of the current 15 under contract are short sales. It could be some time until we see some of these closing. As of today (December 18, 2009 11 AM) there are 19 active homes in Penderbrook and 15 homes that are currently under contract and 10 homes that have sold in the last 30 days. According to MLS, there were 2 new listings this week. According to MLS, there are 10 Condos and 5 townhomes under contract. According to MLS, 10 homes have sold in the last 30 days . There are currently 4 townhomes and 4 condos for rent. 0 townhomes and 0 condos have been rented out in the past month.